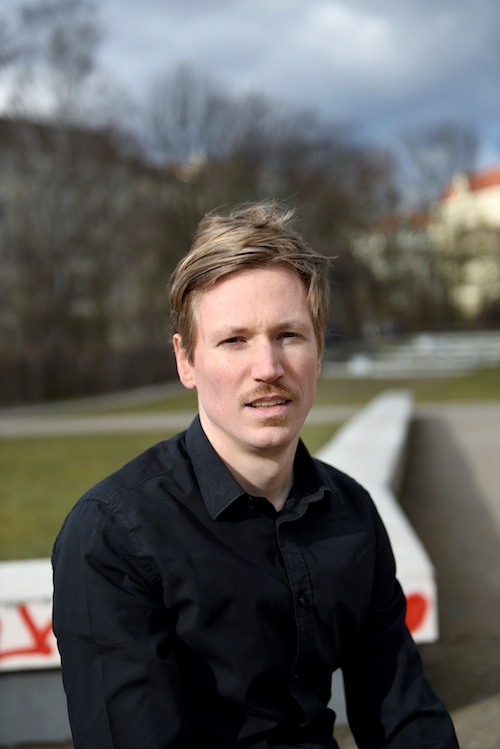 Martin Grütter was born in Trostberg/Germany in 1983 and studied composition and electronic music in Berlin und Frankfurt i. a. with Hanspeter Kyburz and Wolfgang Heiniger. His works are performed thoughout the world by leading musicians like Ensemble Modern or Ensemble Intercontemporain at festivals like Wittener Tage für neue Kammermusik, Klangspuren Schwaz, cresc. Biennale Frankfurt, MATA festival New York or Bregenzer Festspiele. He was awarded several prizes, so in 1999 at the composition competition of the Robert Schumann Society Dusseldorf, in 2007 at the composition competition »In memoriam György Ligeti« and at the Hanns Eisler Award for composition and interpretation of contemporary music, in 2010 at the international composition contest of the MusikTriennale Cologne and at the Mahler composition contest, Vienna, in 2013 at the composition contest »Courtyard of the Gentiles«, as well as in 2016 at the composition contest »Old Hispanic Office«. He received scholarships by the Academy »Opera today« of Deutsche Bank Foundation (2010–12), the International Ensemble Modern Academy (2011/12), the Free State of Bavaria, the Senate of Berlin, and the German Academic Exchange Service. In 2011 he founded the »Schwelbrand« festival, as whose artistic director he has been operating since. Martin Grütter’s music deals with virtuosity, performance, irony, madness, rhythm, and speech. His compositions comprise solo, ensemble, orchestral, and vocal pieces, music theatre and electronic music. In addition he is active as a piano and keyboard improviser. Martin Grütter lives and works in Berlin.